1 Hotels, the mission-driven luxury lifestyle hotel brand owned by Starwood Capital, has some of the most eco-friendly hotels on the planet and excitingly, it’s heading to Australia. 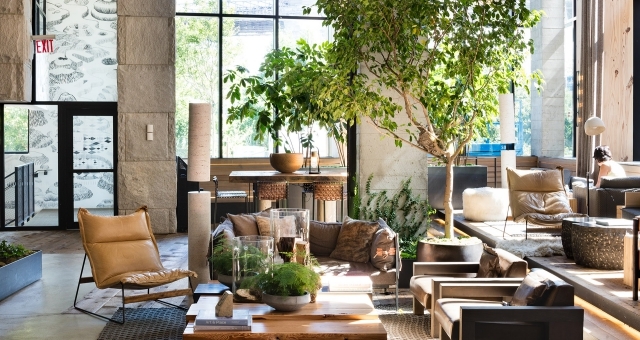 The brand’s properties in New York and Miami are celebrated for their eco-conscious design, sustainable architecture and cause-oriented partnerships, all core philosophies of 1 Hotels’ founder, Barry Sternlicht. Soon, the brand will be opening a 280-room hotel in Melbourne as part of the Seafarers development on the banks of the Yarra River, thanks to a deal with Riverlee. What Melbourne can expect is a hotel similar to what brand owners Starwood Capital opened alongside New York’s East River at the flagship 1 Hotel Brooklyn Bridge. Situated at Pier 1 in Brooklyn Bridge Park with views of the Manhattan skyline and the Statue of Liberty, 1 Hotel Brooklyn Bridge was developed by a joint venture partnership between Starwood Capital Group and Toll Brothers City Living. Right across the hotel, you’ll find sustainability everywhere you look, from materials used in construction to the 25-foot-high living wall in the lobby and the filtered water on tap and recycling bins in every room. The hotel was constructed with a 54 percent ratio of regional and reclaimed materials, it has a rain-water reclamation system and it uses 100 percent wind power energy. When it comes to being green, urban hotels don’t come much more sustainable than this and what we can expect in Melbourne is a hotel that will be an environmentally-friendly champion on a global scale. 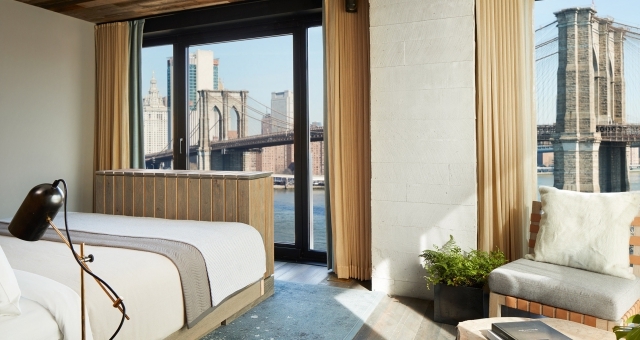 To find out more about 1 Hotels’ flagship property and the brand’s sustainability values, 1 Hotel Brooklyn Bridge General Manager, Hans Schaepman, spoke exclusively to HM and sister publication WAYFARER at the hotel in New York recently. HM flew to New York with American Airlines. The airline flies to New York via Los Angeles and the author recommends flying in Business Class, which features meals from celebrated Australian chef Sean Connolly, award-winning international wines, flatbed seats, top-notch entertainment and bedding from leading retailer Casper.